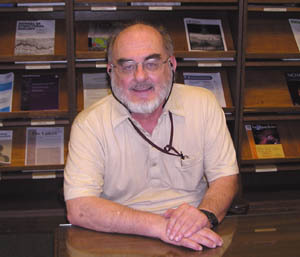 Above: A portrait of Dr. Allen Albert Jackson IV from the website of the Lunar and Planetary Institute (LPI) in Houston Texas USA, where he is a Visiting Scientist. Dr. Jackson attended the above event and his presentation charts are available below. 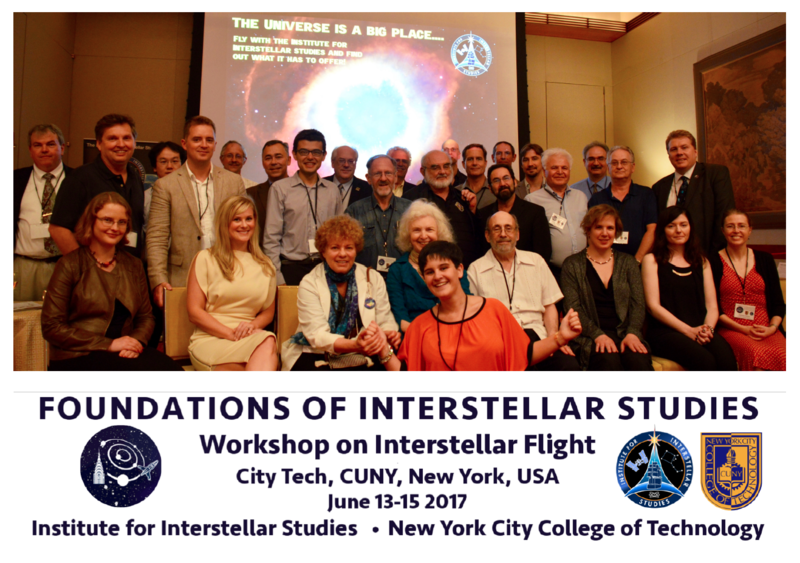 The event: Foundations of Interstellar Studies, Workshop on Interstellar Flight, City Tech, CUNY, New York, USA, June 13-15, 2017, Institute for Interstellar Studies, New York City College of Technology. Dr. Jackson has a PDF file (40 pages, 4.3 MB) containing the program and abstracts from the above event. If we obtain permission, we will link to that here. 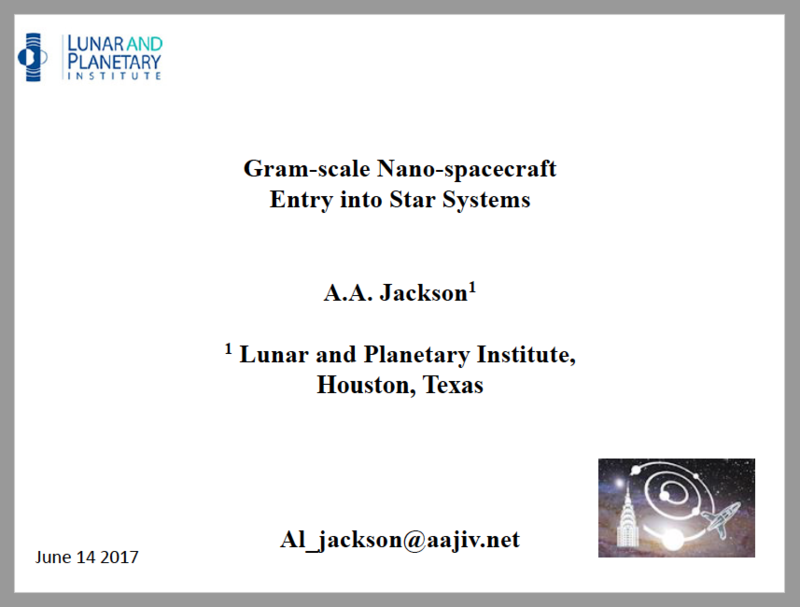 Here is a link to the presentation charts (PDF, 13 pages, 978 KB) created by Dr. Jackson for the above event. Title: Gram-scale Nano-spacecraft Entry into Star Systems. Author, A. 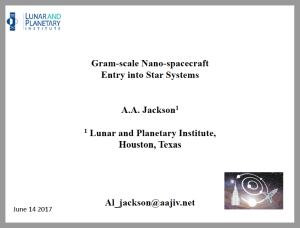 A. Jackson, Lunar and Planetary Institute. June 14, 2017. Contact information: al_jackson [at] aajiv.net. Below is a screen capture image of page 1 from that presentation. Here is a link to the publicity flyer (PDF). Here is a link to EventBrite web page. NASA civil servant: 5 years in the Apollo program, Lunar Module Simulator instructor, Abort Guidance System and Primary Guidance and Navigation system. MacDonnell Douglas, Computer Science Corporation, Lockheed: Flight planning software, Orbit debris and Engineering Simulation, 40 years. Douglas Yazell volunteered in 2015 to create an oral history document here about the career of Dr. Jackson, to be placed here and on the AIAA Houston Section history technical committee web page. Dr. Jackson was a team member on a ten-year software project which won second place in 2014 in a NASA competition. Of all the NASA awards in his decades-long career in the NASA/JSC community, this is the only one that included a cash prize. March 2015: Dr. Jackson penciled in a Lunch-and-Learn presentation about Traversable Wormholes with himself as the speaker. The movie Interstellar is still talked about in the press and is still in theaters, so that movie might create some interest in this subject. We are always looking for new professional members. Contact information is on the organization chart. To provide a forum for exchange of ideas and information regarding the state of the art and the future of astrodynamics. To stimulate education, professional development, and accomplishment by fostering communication and by providing resources. Here is the same presentation (PDF) with an audio transcript added using Post-It notes in the PDF. Download this and open it with the free Adobe Reader application in order to see the Post-It notes. The image of Arthur C. Clarke is updated here on the first slide, since the aspect ratio was distorted in the original presentation. Search for Extraterrestrial Intelligence (SETI) is so well-known that it is barely worthwhile to define it here. 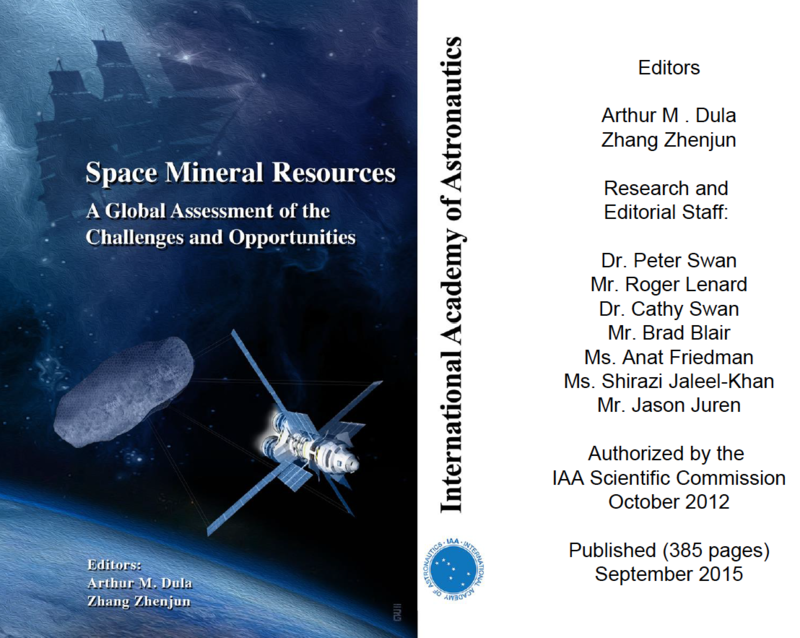 See the related newsletter article starting on page 13 of the March / April 2014 issue (36 pages, 5 MB PDF) of Horizons, Detecting Starships. The original title of that article was Extreme SETI, but the Horizons Editor decided to avoid undefined acronyms, following the Yahoo style guide. So Horizons, the newsletter of AIAA Houston Section, was first to publish this Extreme SETI subject as written by Dr. Albert Allen Jackson IV. 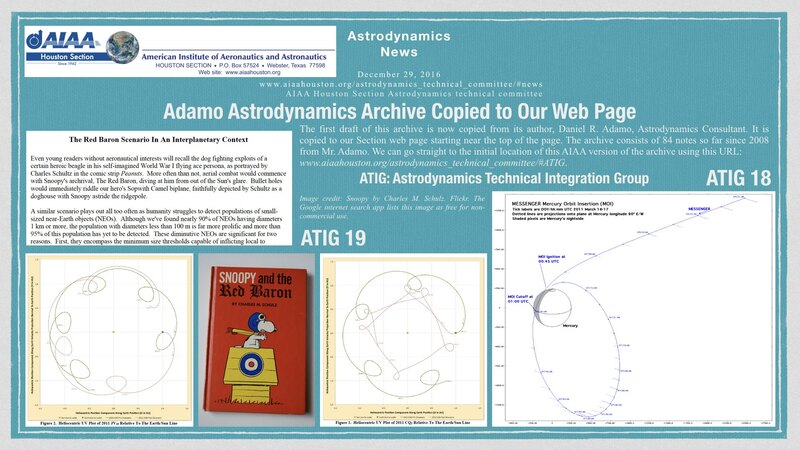 The above 20-page presentation is not an AIAA presentation, but we have permission from Dr. Jackson to place his presentation file here. In work September 25, 2014: I (Douglas Yazell) have an iPhone 5 audio recording of the above 15-minute presentation, missing only the first few words. I volunteer to transcribe it and place that PDF file here. In fact, instead of a PDF file, I can probably add that text to the 20 pages above using Adobe Acrobat Post-In Notes. Putting the audio file here would be useful, too, but it is a long audio file that includes a presentation by another speaker, so editing of that audio file would be required. Place: NASA/JSC Gilruth Center Lone Star room (Maximum capacity: 54 people) Six people per round table. 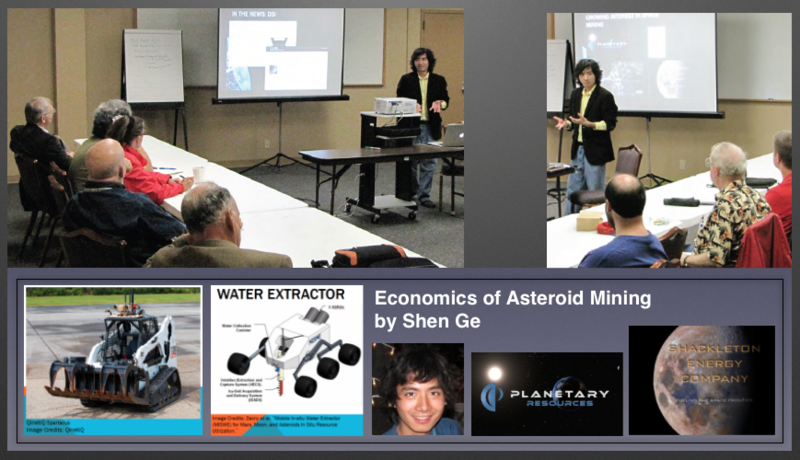 Shen Ge, Bachelor’s Degrees of Science, Georgia Tech University, Aerospace Engineering & Physics; Master’s Degree of Science, Texas A&M University, Aerospace Engineering. James N. Benford, Ph.D., Microwave Sciences, Inc. Please note that we have an excellent orbital debris presentation from our 2008 Annual Technical Symposium. The abstract is in the long form of the 2008 ATS program. [2016 08 14] August 14, 2016 A Green Flash at Sunrise Dan Adamo (adamod at earthlink dot net) emailed a sunrise green flash photo to one of us. 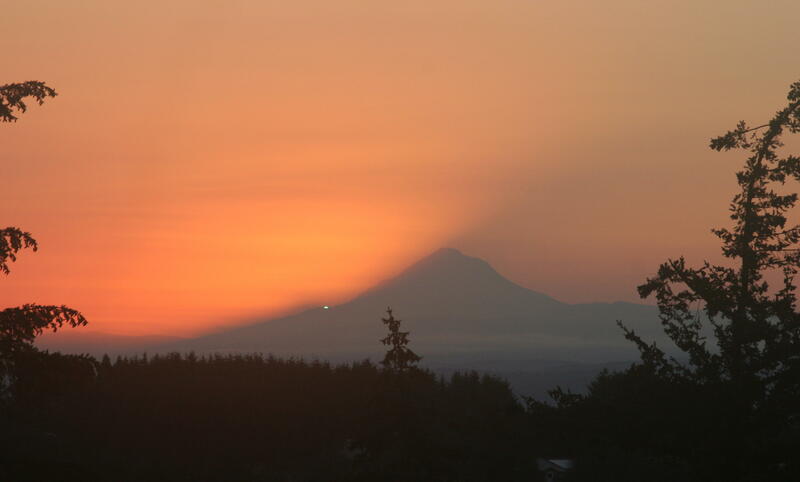 He is now retired and living in Oregon instead of the Houston area in Texas, and the photo shows Mount Hood. He allowed us to publish the photo here, along with that part of his email note: “With the Sun moving south to about +20.5 deg declination, it was time to take shots of Mt. Hood sunrises from my location this week. I’ve attached one capturing yet another green flash as the first rays of sunlight reached me over the mountain’s north slope on July 20. During less than 2 seconds on this occasion, my visual impressions were of intense blue fading to green and yellow. It’s an amazing sight, and it fell 13 months plus a day before 2 minutes of total solar eclipse will favor my abode. Hope the weather’s as nice… -Dan”. Link: IMG_1961.jpg, 354 KB.